TA-15-1.5 Fixed-Angle Rotor, Aluminum. Major applications: Pelleting subcellular organelles, nucleic acids, viruses, bacteria, mitochondria, chloroplasts, or algae. Includes rotor, lid, and O-ring. Product Features: 30 x 1.5-2.2 mL bottles/tubes, Spins 30 x 1.5 mL and DNA Mini-Preps, Spin columns from QIAGEN*, Amicon*, and Promega*Accepts 30 x 250 to 750 uL PCR* tubes. 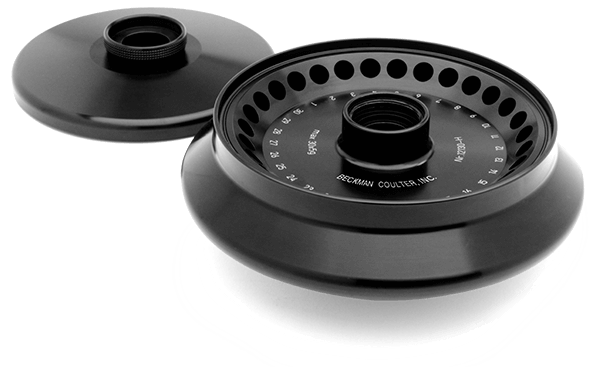 For use in the Allegra 25R centrifuge and discontinued TJ-25 centrifuge. * All trademarks are the property of their respective owners.